Professor Dowd earned her B.A. degree from the University of Virginia and her Ph.D. in Medicinal Chemistry from Virginia Commonwealth University (working with Richard Glennon). Following postdoctoral work at the University of Pennsylvania (with Irwin Chaiken), she joined the NIH where she directed a synthetic chemistry group finding novel small molecules against Mycobacterium tuberculosis. 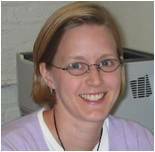 In 2007, she joined the Chemistry Department of George Washington University as an assistant professor. Her research interests broadly include anti-infective drug discovery, structure-based ligand design, and the development of chemical tools to understand important biological processes.